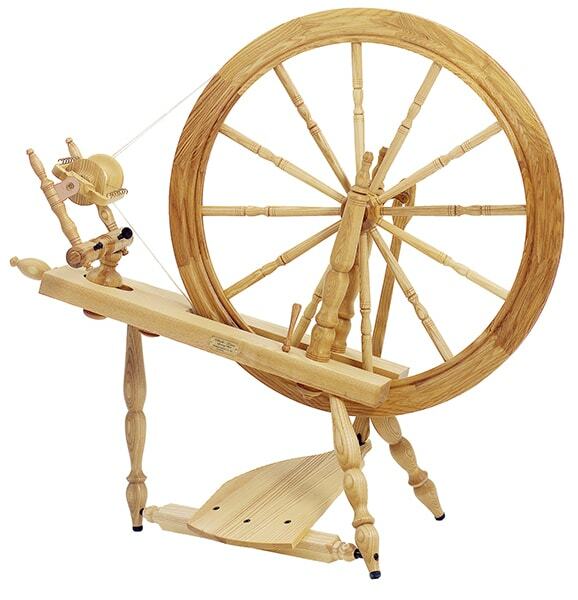 The Matchless Spinning Wheel is the most responsive spinning wheel available today. Whether you prefer single-treadle or double-treadle action, you’ll appreciate our wheel’s matchless capabilities. 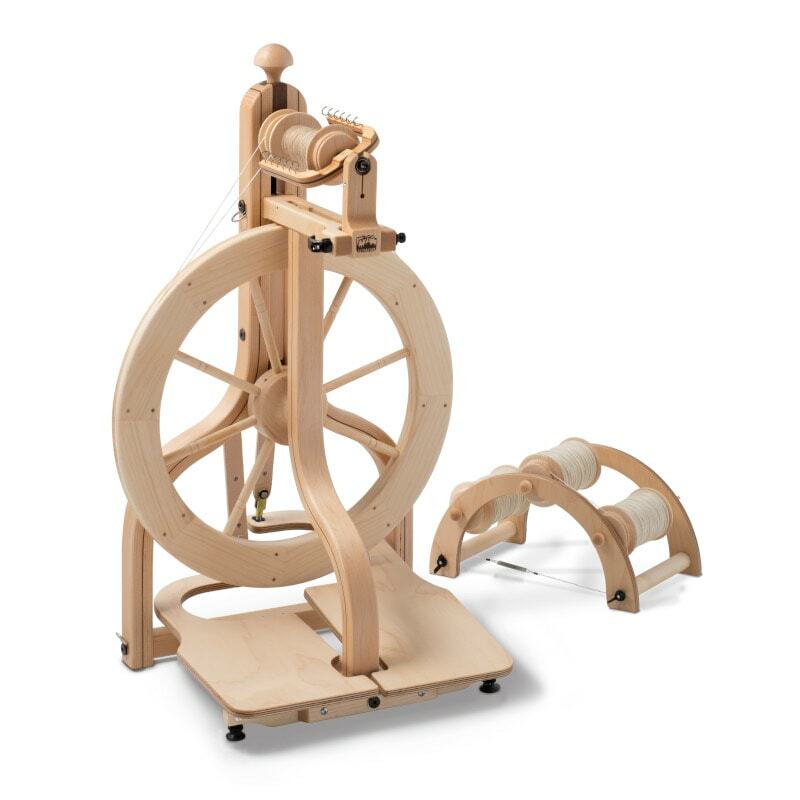 The Schacht Matchless Spinning Wheel offers double drive, Scotch tension, and bobbin lead modes of operation. The 19.5″ drive wheel and flyer shaft are supported by self-aligning bronze bearings for precise action. Each flyer is individually balanced and the bobbins and flyer whorls are trued on center for long and superior service. Included with each wheel: 4 bobbins, fast and medium speed whorls, a threading hook, tensioned Lazy Kate, and carrying strap. Wheels come with two flyer whorls (medium and fast); four additional flyer whorls offer spinning ratios from 4:1 to 21:1. Also available are the Matchless Spinning Wheel Cart, High Speed Bobbin, Travel Bobbin, and Bulky Bobbin (for use with the Bulky Plyer Flyer).